So the resources are ordered, the parish hall is booked and parents have begun dropping teenagers off at the parish for your teen Bible study. Teenage souls are assembled and Bibles are sitting on a cart in the corner … now what?!? What can you do when the video is not playing to keep this ark moving forward through teenage storm waters? Many times, teen Bible study leaders arbitrarily select a meeting time and running time. “Well, I have the hall for two hours, so two hours sounds good,” we think to ourselves. God is timeless, yes … but teens are not. If teens aren’t used to reading and praying Scripture at all, what makes anyone think they’ll jump right into a ninety-minute or two-hour teen Bible study format? Just like working out, stretch first and take it slow. Build up to a longer meeting time for your teen Bible study by leaving teens wanting for more. I like to keep teachings to thirty minutes, leaving ample time for fellowship (prior), small groups and prayer (during) and hospitality (afterward). Put simply, content without context is pretext. This is where many leaders go wrong: they haven’t done their own homework. This is also why resources are so important—Leader’s Guides are created to make a Leader’s life easier. The more you can set the scene, the more willing a teen will be to enter into it. If you use a verse from the Prophet Jeremiah, you better know a little about the brother if you want his message to be heard by the modern teen. If you want to quote Deuteronomy, go for it, but first set the backdrop for Moses’ “second law”. And for the love of God, when we dig into a Gospel account, let’s be sure we’re taking the time to till the soil of the teenage hearts, before we cast the seed (proclaim the word). Before you give the lines, set the scene. Describe the crowd, the tone, the situation and the “mount” before you deliver the Sermon (Matthew 5). Life-giving discussions are easily sidetracked by a lack of guidance. The role of the leader is not to offer every answer, but to help young souls ask the right questions—and to facilitate fruitful conversation. If it’s a long passage, be sure the person proclaiming it has practiced it. Don’t just hand a teen a Bible and ask them to read it cold—they should never feel like Daniel being tossed to the lions. Next, address the group by paraphrasing it and then focusing in on a few lines at a time, whatever “jumped out” at them, individually. Then, have a teen who has practiced it—in advance—to read it in their own voice aloud for their peers. Whatever it is, make sure it’s clear, and measure your decisions and outline (for the night) around that end. Judge your “success” by the depth of their sharing rather than by the laundry list of facts they share. You can do this. There are a thousand ways to improve, so take them one at a time. The Encounter and T3 studies I’ve authored through Ascension are the culmination not only of some successes but the result of countless failures I’ve enjoyed over the years. I continue to learn from them. I pray these resources will help you avoid making some of the same. God bless our (collective) efforts! This article was first published on The Great Adventure Blog on January 16, 2014 as “Avoid These Awkward Mistakes: 5 Tips for Leading a Teen Bible Study”. It was modified on October 9, 2018. Is There Such a Thing as a User-Friendly Bible? Mark Hart is the best-selling and award-winning author of more than a dozen books and is the author and lead presenter of T3: The Teen Timeline(a teen Bible study program), Encounter (a pre-teen Bible study program), and Altaration. 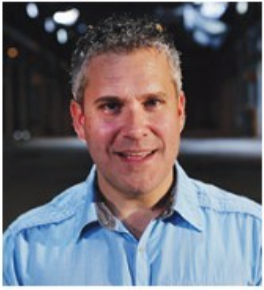 A graduate of the University of Notre Dame, he serves as executive vice president of Life Teen International.